We've had a wonderful start to our year! A hot start. . . but a wonderful start just the same! I firmly believe that the first few weeks are about building community, routine, and a sense of who we are as a class. We have had a very nice transition into the school year, taking it slow and spending time getting to know each other and the expectations so that our classroom climate will be one that promotes learning in the weeks and months to come. This sensory bin area is new this year. The children are loving it. Last week we had rice and letters in the bin. 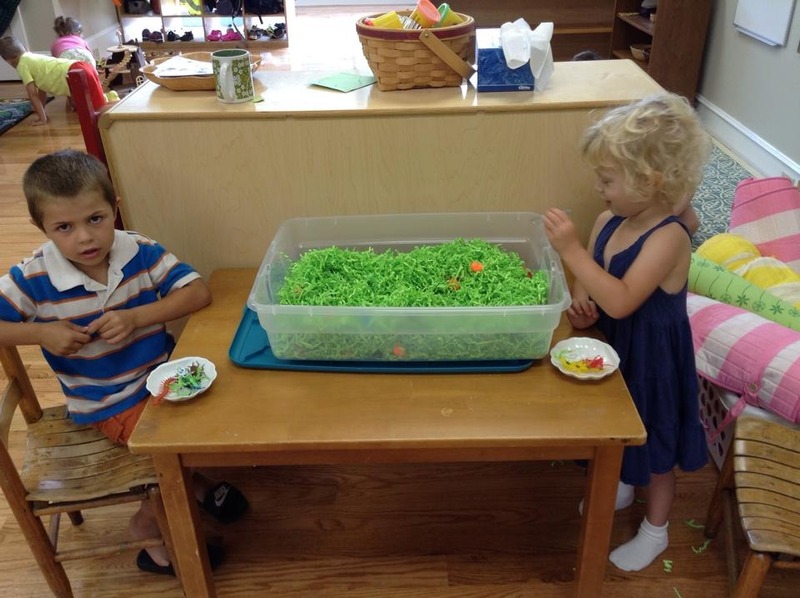 This week we had shredded green paper and bugs! Trying to find all of the bugs with these little tweezers proved to be a challenge! 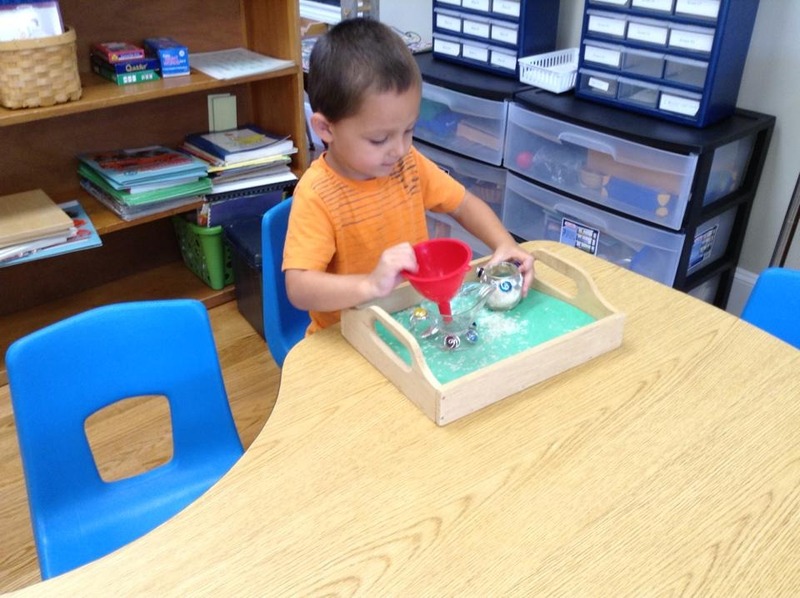 Learning control and concentration through pouring rice. The joys of a multi-age classroom! 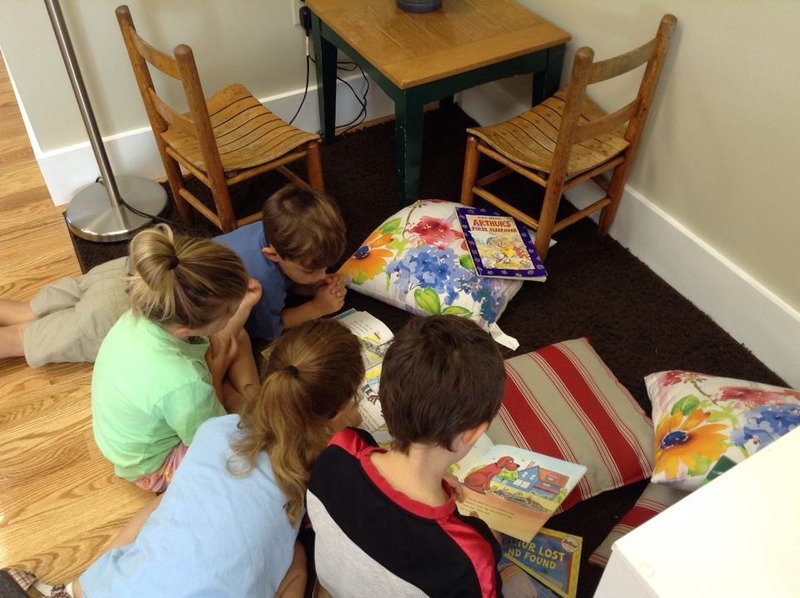 Older children reading to the younger kids! Dog's Colorful Day. We read this fun and silly story by Emma Dodd early in the week and the children then had to replicate the messy puppy in the story by coloring in his spots. 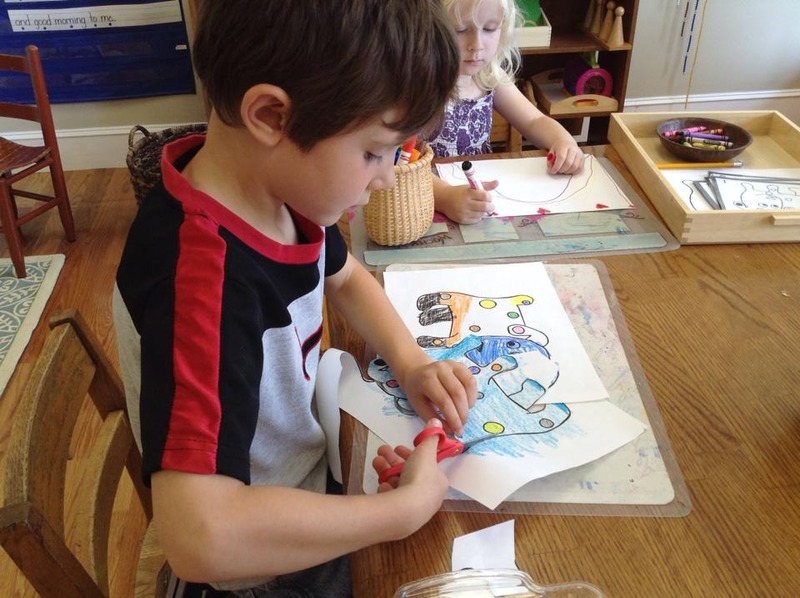 This child took the work one step further and is practicing his fine motor skills while cutting the dog out. Pin punching, ultimate in fine motor practice! We kicked off the week with a little celebration! An old friend turned five! 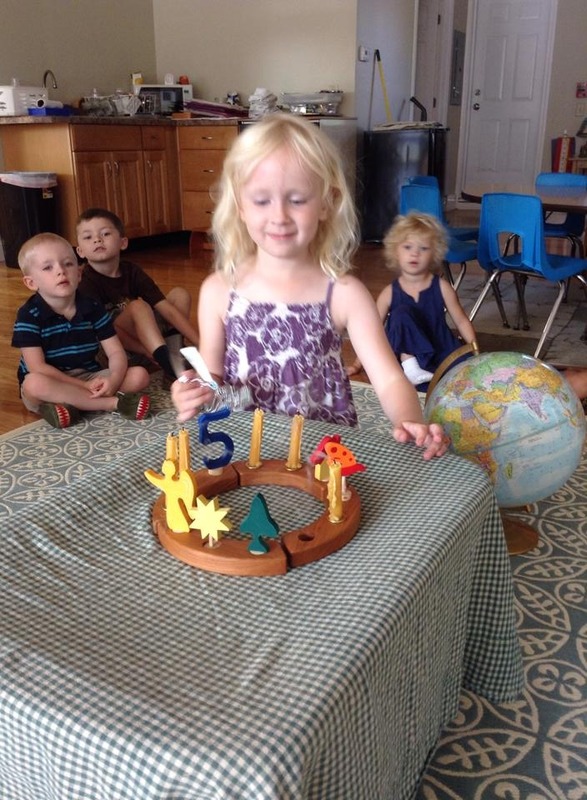 She walked through the door Tuesday morning and announced, "I am five!" We sang our birthday song to her as she took her five trips around the sun! 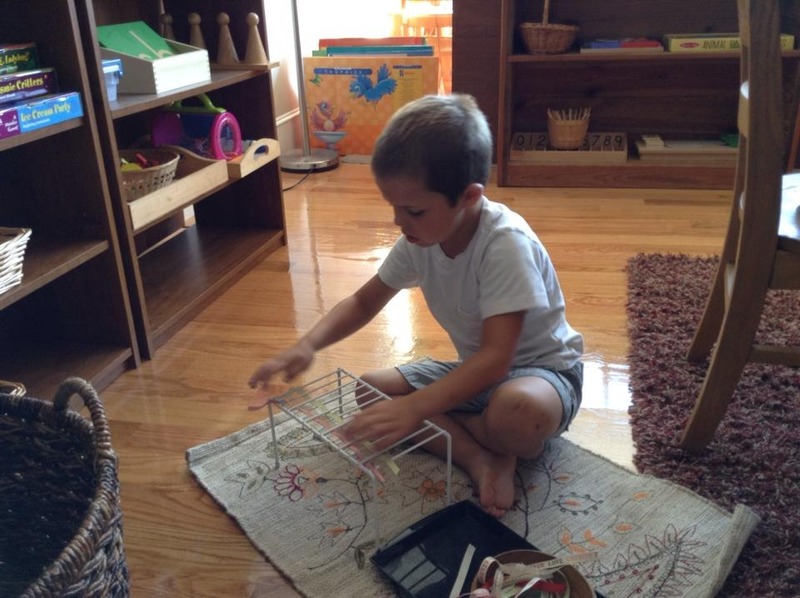 Children are not the only ones growing by leaps and bounds in our classroom. 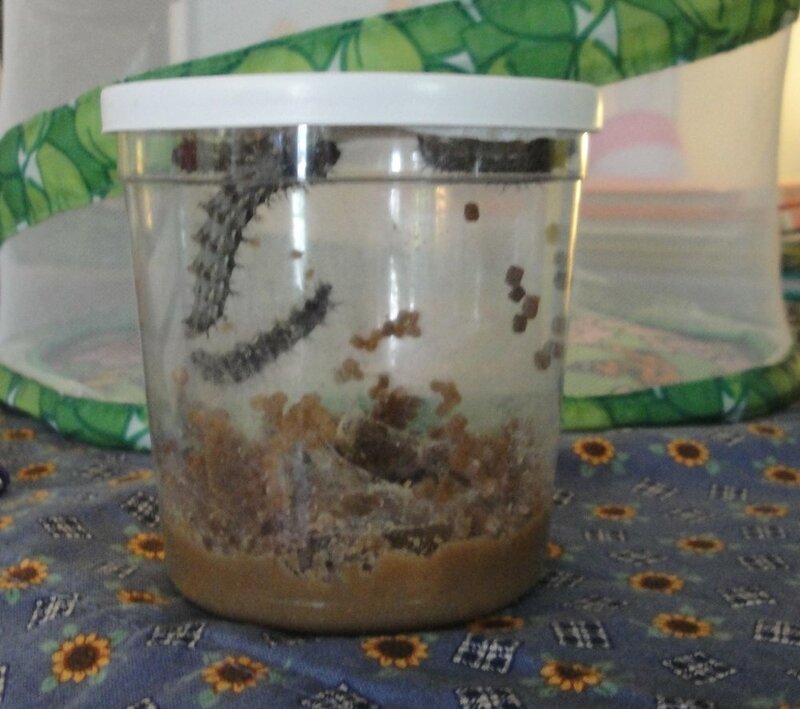 Take a peek at our caterpillars. They are growing by leaps and bounds, and Friday some of them were starting to feel the need to hang upside down! Several of them had gotten into their J shape. Chrysalises by Monday for sure!